Bolus is the 892nd highest place in Ireland. Picture from group : The reason why you should leave your car at the artists Cottages. Picture: The reason why you should leave your car at the artists Cottages. 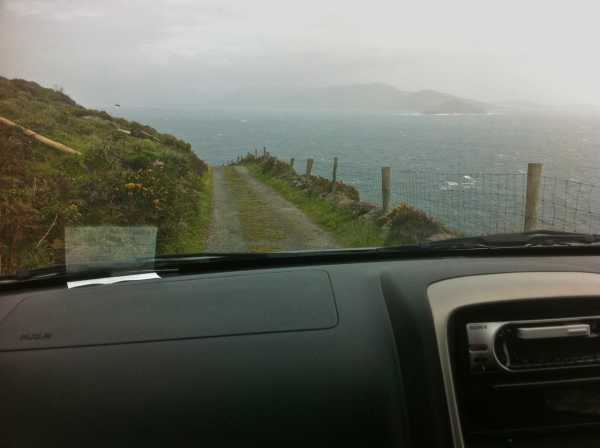 Park your Car at Cill Rialaig as the road narrows from here, see picture. Here eight ruined cottages were demolished and then reconstructed by the architect Alfred Cochrane with studios to create an International Artists retreat. The promoters ambition was to have an Irish equivalent of the Tate gallery at St Ives in Cornwall. The artists wares are available for purchase at the shop / gallery in Ballinskelligs. You won't miss it, as it is sign posted well!